My Cup of Tea | EAT MY PLANTS! 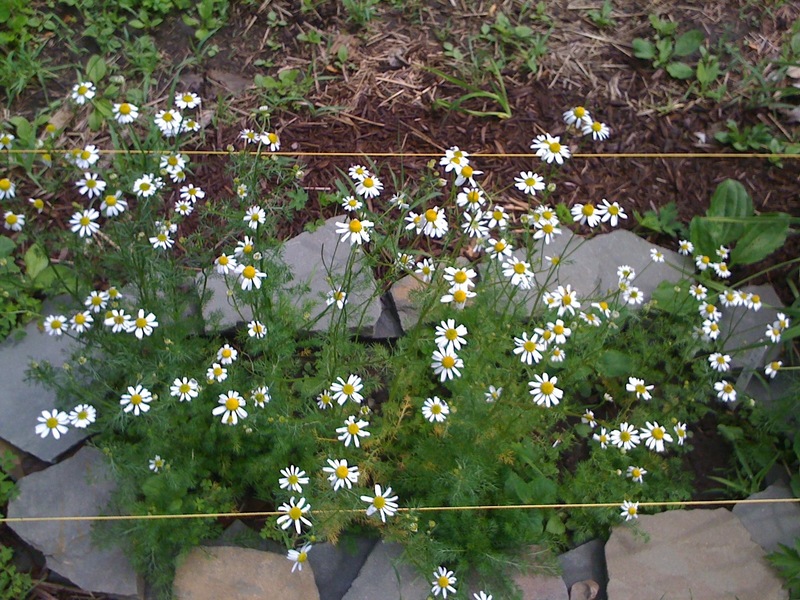 Lots of Chamomile flowers to harvest and dry. 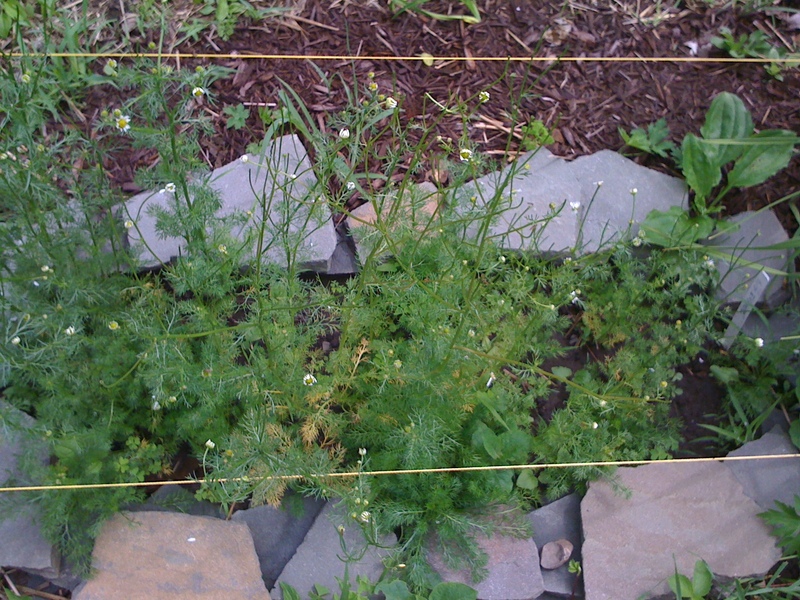 I was eager to try my first cup of home grown Chamomile tea. I picked them clean. The very next day there were more to be had. If I keep picking, they keep growing. I no longer have a dehydrator but my oven goes down to 170 degrees. So I spread these on a baking sheet, heated the oven to 170 degrees, and placed these in there. I left the door cracked a little bit. It took a few hours and I had to reheat the oven a few times along the way. But these dried quite nicely. 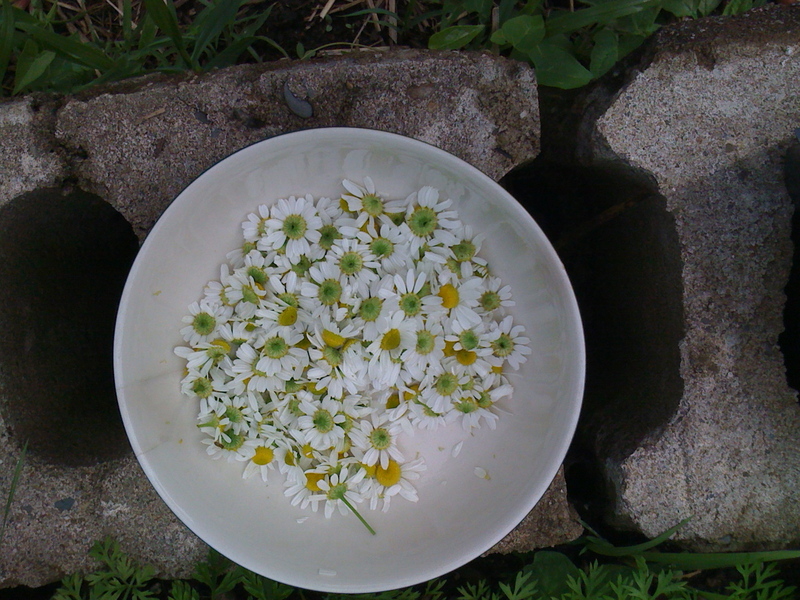 The Chamomile was easy to grind up. 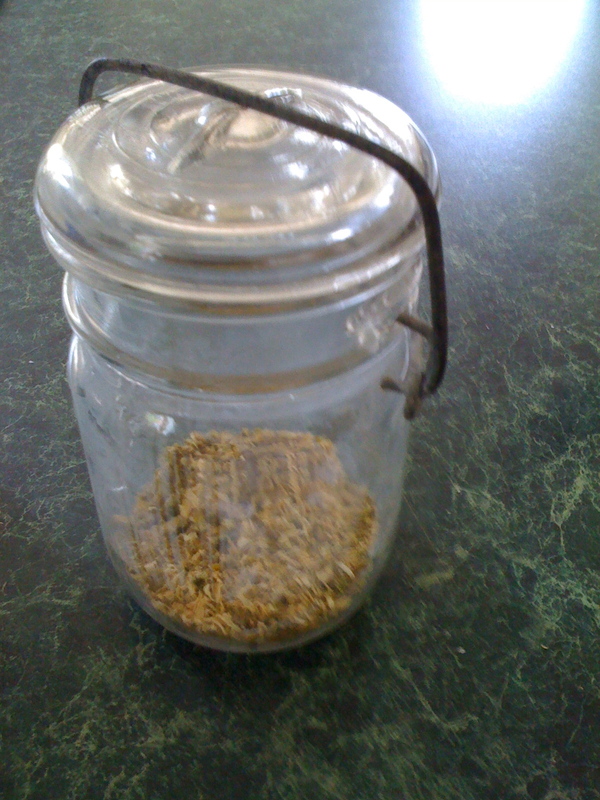 I put them in this old, locking, Mason jar for storage. 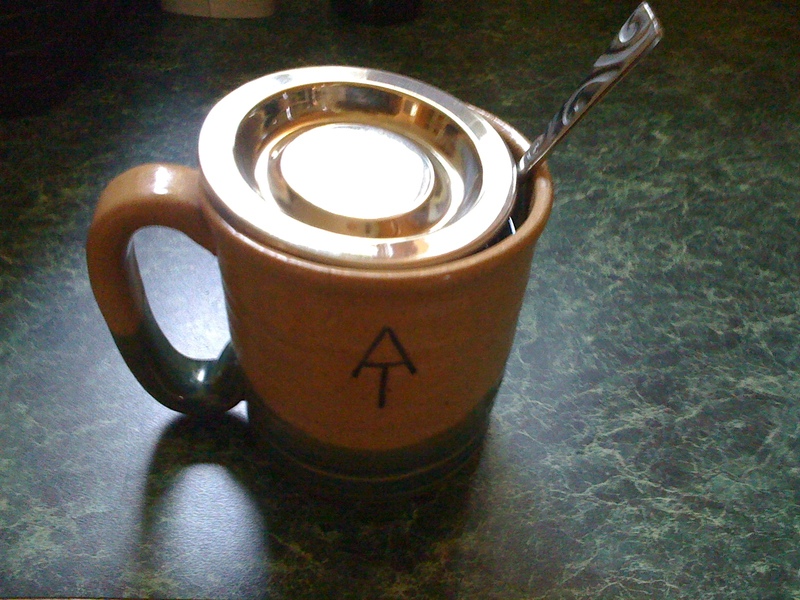 I have a laser etched diffuser that I use for tea and coffee when I camp. 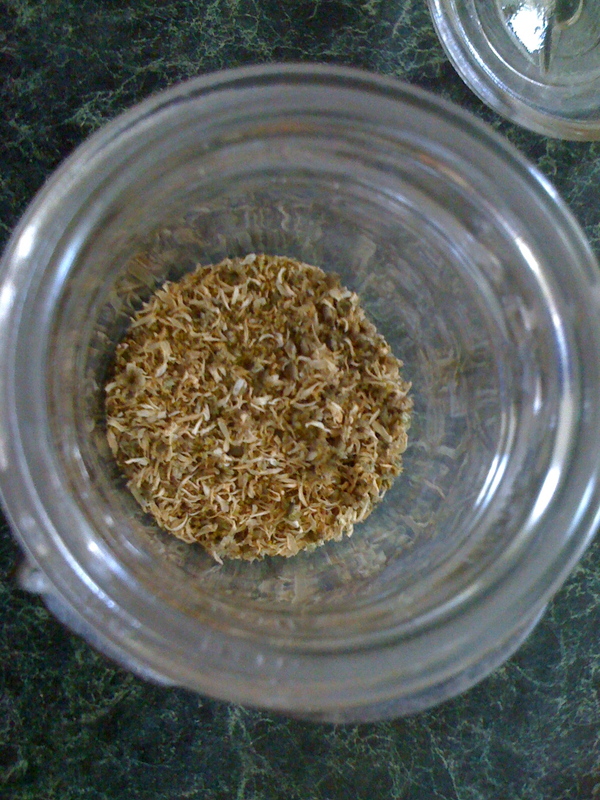 Considering how fine the Chamomile grindings were, I decided to use that for this first cup of tea. 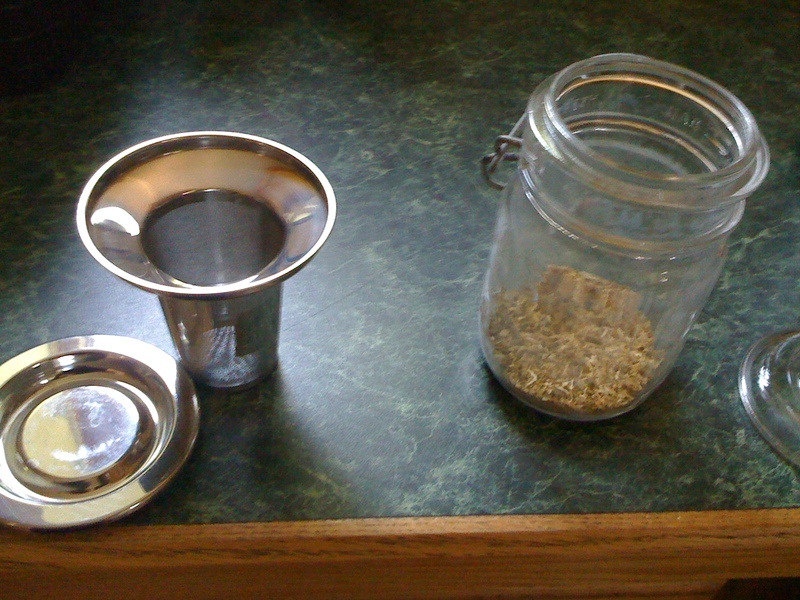 I could not think of a better cup to use for the first sample of my Chamomile. This was given to me at Adirondack Loj when I made a donation to the Adirondack Mountain Club. It’s handmade and has the Appalachian Trail logo on it. 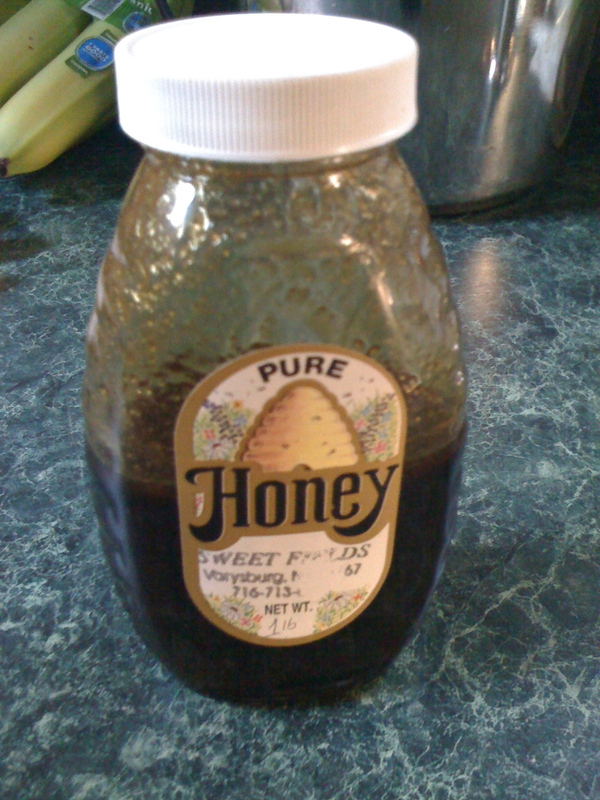 Buckwheat Honey, locally collected. I had to kiss the cup with a little of this. I was so satisfied with how the tea turned out. I’ve had plenty of loose leaf and commercially packaged Chamomile and this was certainly better than anything I’ve tried out of a bag or box.